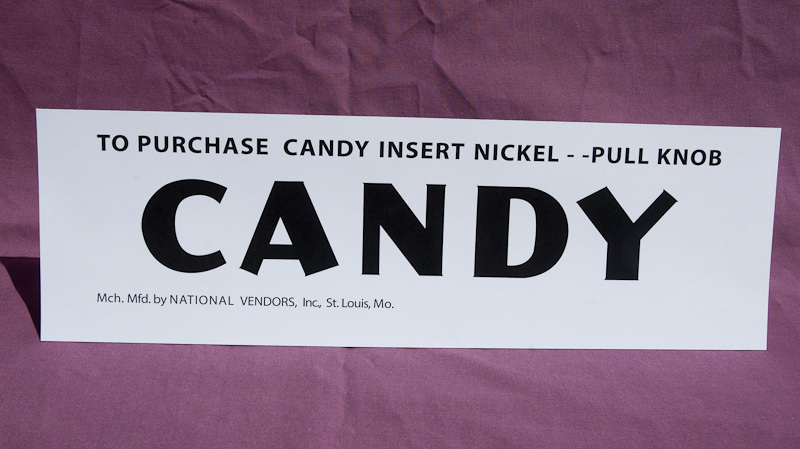 Our meticulous attention to detail results in a quality reproduction National Candy Machine Marquee in heavy paper. Approximately 13 3/4" wide by 4 1/4" tall. This will fit both 6 or 9 Selection Models.